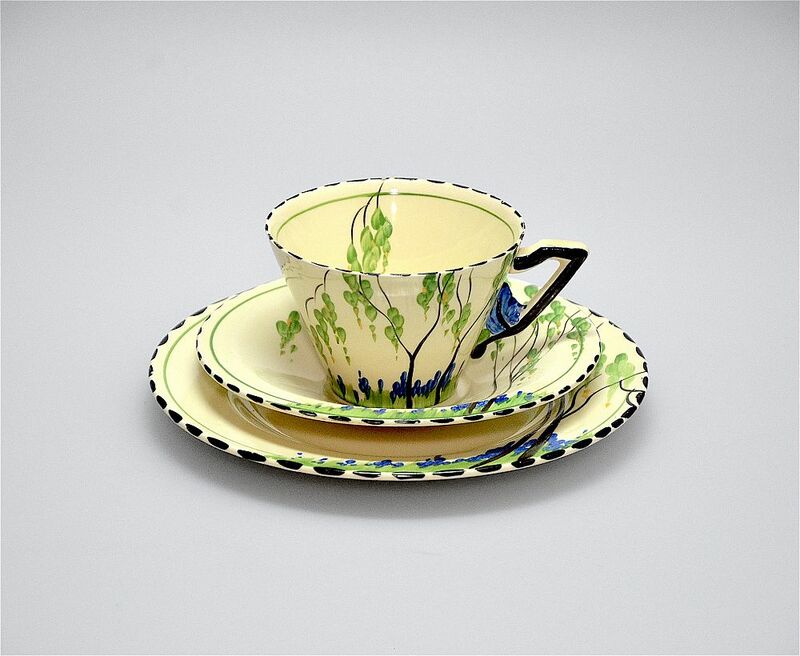 I have always been a fan of Burleigh Ware's Art Deco hand painted cups & saucers. This pattern is "Bluebells" and has bluebells amongst green grass overhung by trees on a creamy background. The cup saucer and plate have the dotted black edges. Surprisingly this trio is free of the crazing so typical of Burleigh Ware. All have the Burleigh Ware beehive mark. The plate is marked "Hand painted Bluebell".